The reviewer Fred Bouchard is a journalist, educator and world traveler, most of whose journalism is writing about jazz. Printed articles include interviews, features, concert reviews, recordings reviews for print and/or on-line media. He has contributed reviews of recordings and concerts, as well as interviews, to DownBeat magazine for decades. He retired from Berklee College of Music, Boston, where he taught Music Journalism. 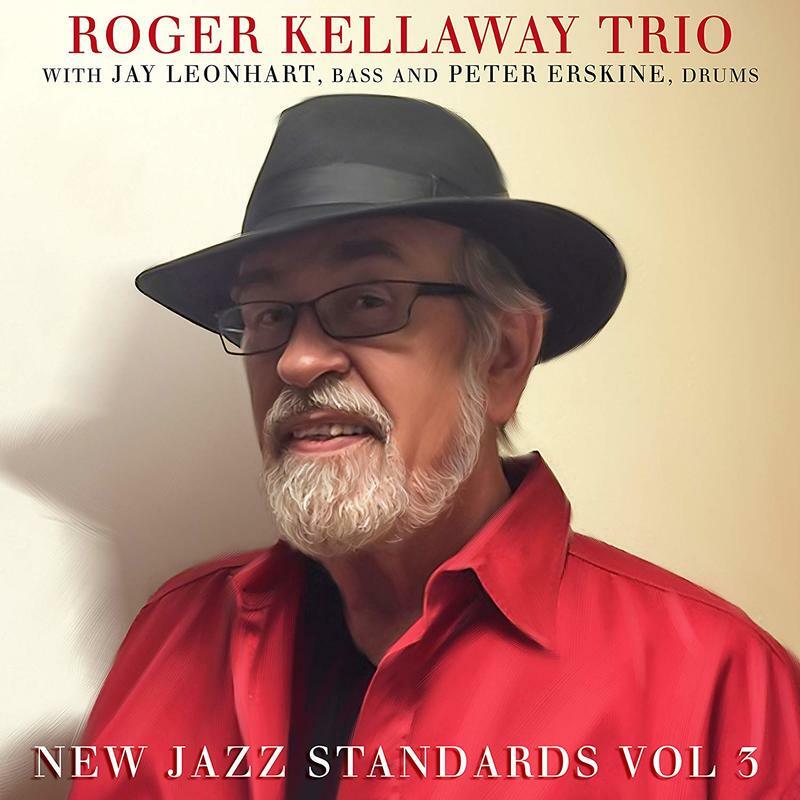 His review of New Jazz Standards, Volume 3 originally appeared in DownBeat earlier this year. He has emended slightly for publication in Seacoast Jazz Notes. Pondering the career of Roger Kellaway, one fairly pops with praiseful plosives. The pianism of this Newton, Massachusetts, native son is technically perfect, pleasurably pretty (melodic), with playful prestidigitation (delightedly off-guard). His protean personality cheerily adapts to rag, stride, swing, new-age, avant-garde, pointillism. Jazz is the acme of Kellaway’s avatars: potent improvs and composing and arranging skills have long enriched sessions with Mark Murphy, Duke Ellington, Sonny Rollins, Carmen McRae, Oliver Nelson, Ben Webster, Clark Terry & Bob Brookmeyer. His 1980s Cello Quartets set a high bar for chamber jazz and his transcendent duos with clarinetist Eddie Daniels enchant and edify to this day. Grammies, Tony Bennett’s Music Director, and TV (All In The Family) brought him wider prestige, as do gigs with — only first names needed here — Elvis, Barbra, Q., Yo-Yo. What better magus to spin puffballs into platinum? Kellaway herewith has been summoned, with bassist Jay Leonhart and drummer Peter Erskine — companionable conversationalists and fearless investigators — to showcase tunes by Carl Saunders, veteran lead trumpeter in Bill Holman’s edgy, cool juggernaut big band. The prolific Saunders has written his own Fake Book of 400 pieces he’d like to see enshrined as “new jazz classics.” (Others called to the epic task were flutist Sam Most and guitarist Larry Koonse.) Saunders’s raw material? Frankly ordinary. Kellaway’s interpretation? Flawlessly inventive. We hear this top-flight trio play the bejeezus out of a baker’s dozen anodyne bop-era ditties. It’s like commissioning Frank Gehry to build you a two-car garage or asking Maurizio Pollini to wax Czerny etudes. The pros spin it out with wit and dash: clean, crisp, takes of so-so stuff. Jay camps, sings, bows. Peter brushes, shuffles, trades eights. Roger sprinkles magic dust over all, sparks ballads with scintillating embellishments, even Bill Evans-y two-track counterpoint, shifts gears and feints with joy and lightness, and the date goes swimmingly. California classic!